Dr. Goldstein is a 1976 graduate of Brandeis University, and he earned his medical degree at the Albert Einstein College of Medicine in 1980. He served his internship and residency at Jacobi Medical Center in New York. In 1985, he completed his fellowship in Pulmonary Medicine at Albert Einstein College of Medicine in New York. 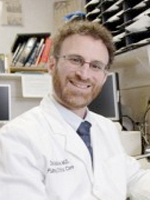 He joined Pulmonary Internists that same year, while maintaining a teaching appointment at Einstein, where he currently serves as Clinical Assistant Professor of Medicine. He is the Medical Director of the Ventilator Unit at Clark Nursing & Rehabilitation Center. Dr. Goldstein has a special interest in Sleep Medicine and serves as the Medical Director of the Center For Sleep Medicine At Raritan Bay Medical Center. He frequently lectures to the public and the medical community about sleep disorders. He is Board Certified in Internal Medicine, Pulmonary Medicine, Critical Care Medicine and Sleep Medicine. He was appointed to the Accreditation Committee of the American Academy of Sleep Medicine. Dr. Wolf joined Pulmonary Internists in 1988 after a remarkable training period. He is a 1978 Honors graduate of Touro College, and a 1982 graduate of New York University School of Medicine, where he was elected to the medical honor society. He served a internship and residency at New York VA/Bellvue Hospital/NYU Medical Center, and a distinguished year as the Chief Resident. Dr. Wolf remained at the Medical Center for his specialty training, and also received a teaching appointment at New York University. He served as the Chairman of the Respiratory Care Committee and Director of Respiratory Therapy at JFK Medical Center for five years. He is Board Certified in Internal Medicine, Pulmonary Medicine, and Critical Care Medicine. He is currently the Director of Pulmonary Rehab at the Multicare Rehab Therapy Center in Somerset, NJ. Dr. Wolf has been repeatedly cited as one of the area's outstanding physicians in multiple publications including New Jersey Monthly, New York Magazine, and Castle Connelly Guide. Dr. Casale joined Pulmonary Internists in 1994. She is a 1984 honors graduate of the University of Pennsylvania, and she completed medical school at Temple University School of Medicine in 1988. She served her internship and residency in Internal Medicine and her fellowship in Pulmonary and Critical Care Medicine at Mount Sinai Medical Center in New York. She serves as Chair of the Critical Care Committee at JFK Medical Center in Edison, NJ. Dr. Casale is also the Secretary/Treasurer of the JFK Medical Staff. Dr. Casale is Board Certified in Internal Medicine, Pulmonary Medicine, and Critical Care Medicine. Dr. Casale is a member of the American College of Chest Physicians, the American Thoracic Society, and the Society of Critical Care Medicine. Vijaya Tirunahari graduated from APSEB Government Junior College in Paloncha, India in 1987, and later continued on to Kakatiya Medical College in Warangal, India. After finishing medical school in 1994, she served her internship in Internal Medicine at the Hackensack University Medical Center in Hackensack, NJ, and then her residency in Internal Medicine and fellowship in Pulmonary and Critical Care Medicine at the University of Medicine and Dentistry of New Jersey. She is Board Certified in Internal Medicine, Critical Care Medicine, Sleep Medicine, and Pulmonary Medicine. She is the Vice-Chair of the Pulmonary Division at JFK Medical Center and Director of the Ventilator Unit at Hartwyck at Oak Tree in Edison, NJ. She is a member of the American Medical Association, American Thoracic Society, and the American Academy of Sleep Medicine. Darlene Fontanazza graduated from Wagner College in 1990, and then went on to complete her nurse practitioner training at Columbia University of New York. She joined Pulmonary Internists in 1993 as a Nurse Pracitioner after working as a Critical Care Nurse at JFK Medical Center. 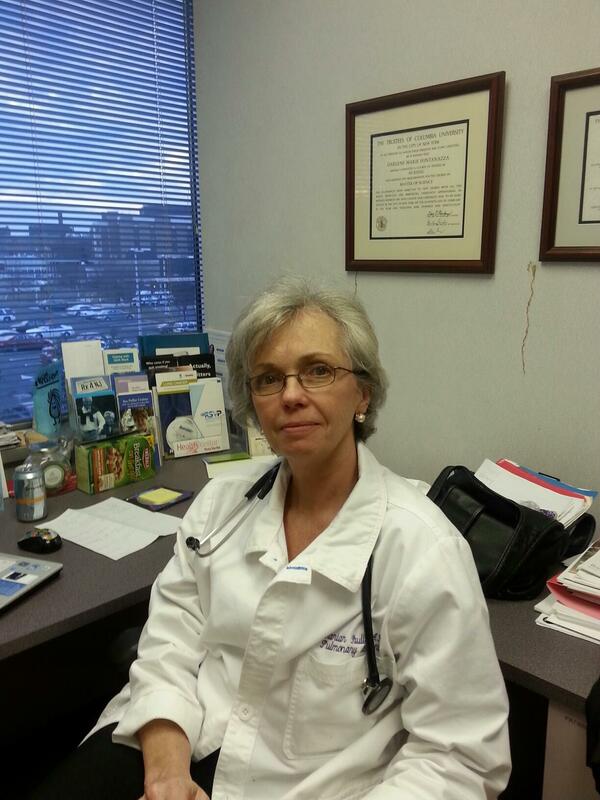 She serves as a preceptor for nurse practitioners in training. She is Board Certified with the AANP and the ANCC. She is a member of the American College of Chest Physicians, the American Nurses Association, the American New Jersey State Nurses Association, and the American Nurses Credentialing Center. Marian Paull graduated from Villanova University in 1978, and completed her graduate education at Rutgers University in 2008. She joined Pulmonary Internists in 2009 as an Adult and Geriatric Board Certified Nurse Practitioner. She is a Community Geriatric Advocate. Marian is a member of the American Academy of Nurse Practitioners and the American Nurses Association.